Some things make you reconsider your choice of work. A cab driver was shot on Sunday morning at the same time I was leaving the garage. Scary! Further adding to this tragedy is that this occurred in the SUNSET district. Yes, the Sunset. Is there any place that’s really safe in the City? The driver is thankfully okay. 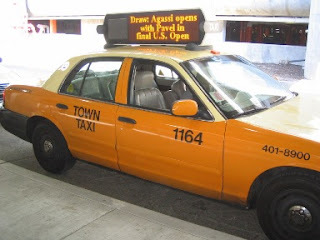 This entry was posted in taxi, work and tagged death, sf, taxi. Bookmark the permalink.